Blog to help you select the right lights for your home or business. Light Emitting Diodes – commonly known as LED’s. These have been around for a very long time but have only recently begun to work their way into general house lighting. It is in this case a new technology but certainly one which will grow and eventually become the main source of our light, it is the future of lighting. They have extremely low running costs and produce little to no heat, the downside for the moment of course is that they are initially high in price. With that being said when an LED can use only 3 watts of energy yet produce the same amount of light as a 25 watt incandescent bulb you’re going to make up for it in the long run! As the technology grows and it begins to take hold of general house lighting replacing the other bulbs on the market the price will see a decrease. In the case of a new home being built the building regulations state that 75% of the lighting must now be low energy, above 45 lumens per circuit watt. LED lighting is the best way to go about this for new homes as LED lighting complies with these regulations. 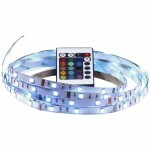 We have a selection of LED lighting specially categorised for this. Feel free to browse this section by clicking here: 45lm+ per circuit watt. Now when most people think of LED they imagine colourful Christmas style lights, but there are of course more options available now considering they are being used for home lighting. For example there are pearl LED GLS bulbs as pictured below right: These can be used in an array of different light fittings and provide the natural look of a standard bulb at a far more efficient alternative. These are called retrofit, an LED alternative which can fit into current lamp holders such as your standard Edison screw. On the other hand the majority of LED specific lighting has integrated LED bulbs for example in the Philips LED lighting range there are products such as the “LOLLYPOP” (pictured below left, click it to view) which has a small disc of LED light which would not need replacing and is one with the product being fully integrated into the fitting. LEDs after all have an extremely long life which in most cases do not need to be changed for years and years. This particular product is a good example of the efficiency of LED lighting, it has 6 diodes operating at only 2.5 watts each. 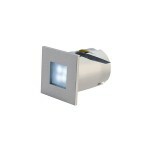 Although this provides a total of around 800 lumens or the equivalent of around 65 watts of standard light! Sounds good doesn’t it but you may not be entirely sure what all this means. So carry on reading and we shall explain about the conversion rates for light output by LEDs. With LED now becoming a home light source and being used in LED ceiling lights, LED wall lights, LED floor lights this that and the other it is useful to know the measurements of light for them in one you can relate to. Generally speaking the way light is measured nowadays is in “lumens”, why you ask? What’s wrong with watts? Well watts are fine to compare two lamps of the same type, but to compare two different lamps it isn’t an easy measurement to use. Here’s an example why: A standard incandescent bulb of 25 watts provides the same amount of light as an 18 watt halogen and a 7 watt compact fluorescent… This can be confusing even if you read it four times let alone take a quick glance. To make things easier for consumers and manufacturers lumens have been introduced as a universal measurement of light, no matter what type of bulb it is it has a lumen output to measure its light. The higher the amount of lumens the brighter the bulb. 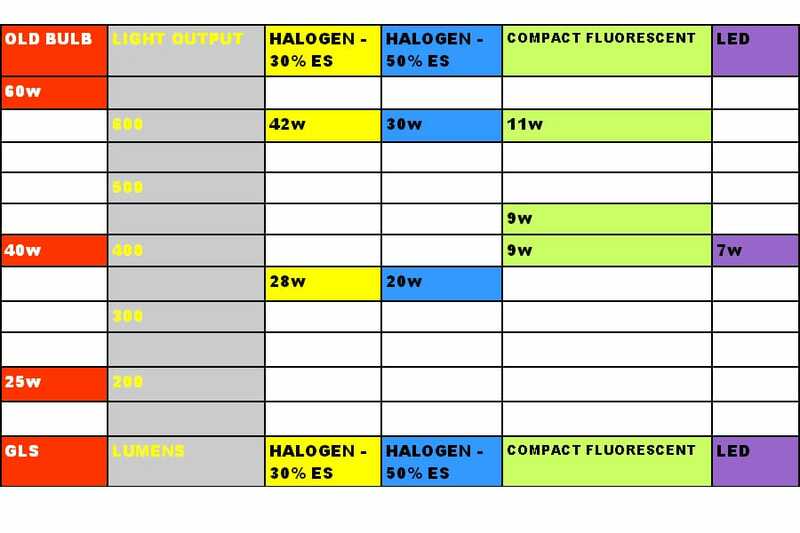 Below is a small conversion table going up to 60 watts, I mean about 650 lumens. 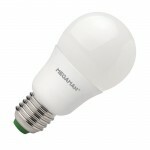 So now you have an idea how much light you will get from an LED, what is on the market for home LED lighting? There are many types available, first of all pendants. 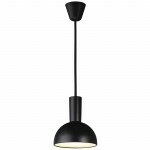 Many people like pendant lighting for their appearance but also their practicality. There are of course plenty of other options besides LED ceiling pendants. There are LED spotlights and general ceiling lights, and of course the option of using retrofit LED bulbs which we mentioned earlier. LED ceiling spotlights are a great look because the general appearance of spotlights are very modern, LED only compliments this feature complete with all the benefits it offers. 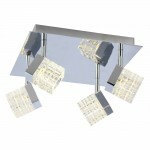 Besides spotlights there are some dedicated LED ceiling light fittings, an example being the image pictured below. For most other general ceiling lights in LED you would use the appropriate LED retrofit bulb with a standard fitting, this looks just as good as when using an incandescent but provides a far better service. So there’s a quick run down on LED ceiling lights, now what about LED wall lights? There are different options of LED wall light from recessed spotlights in the wall, to standard looking LED alternatives. This pretty much tells you that whether you want it to look like something out of a Sci-Fi film or just a modern home wall light it can be done! Here are some examples and links to different options. 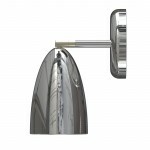 There are of course LED wall lights which would fit in with your standard modern property such as the Nordlux Nexus range. These keep a contemporary look but do not have that overly “futuristic” appearance. 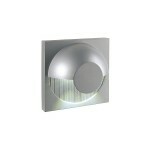 As well as these modern LED wall lights there are also LED floor lamps and LED table lamps available. The Nordlux Nexus range has a good example of these offering all styles of LED lighting. Click the link to view the Nordlux Nexus range: Nexus. 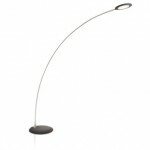 There you will find modern LED alternatives for ceiling lighting, wall lighting, floor lamps and table lamps. So what else could there possibly be? Well we’ll include a couple more, cabinet lighting and LED strips. There are options available for anyone wishing to light up the inside of their cabinet to show off an ornament or simply for practicality in order to find your toothbrush early in the morning. 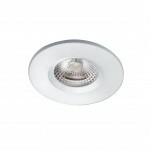 For this task the best thing would be a recessed or flush fit cabinet LED down light. 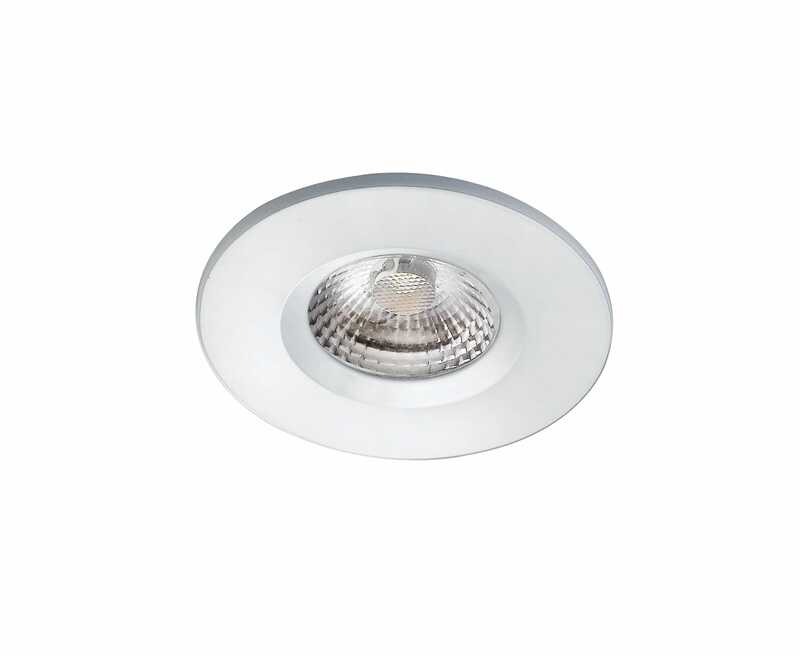 A good example of a flush fit LED cabinet down light would be the “Lismore” by Nordlux. As pictured to the right here. These are great for cabinet lighting as they use very little energy but provide enough light to highlight features within a cabinet without overpowering it. Click this link to view the range of LED cabinet lighting: LED Cabinet Lighting. So for the last bit of LED lighting that we will included we will talk about lighting places such as stairwells, under bars and or shelves. The best choice for this would be LED strip lighting. 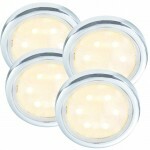 These are great for concealed under lighting pretty much anywhere, and not only do they come in standard white colours but come in an array of different ones with some also including a controller to choose colours and set patterns on. This would be ideal for lighting up a stairway or for lighting the underside of a bar, but also would be great for anyone who wants a modern vibrant accessory in their home. Click the image to view product and white only alternative. So hopefully after reading through this you have begun to get a better understanding of LED lighting, what it offers and what it can be and is used in for general home lighting. A far more efficient light source which will one day be the main light source. Helpful? Inspiring? We'd be grateful if you'd let others know! ← Previous Previous post: Hotel Lighting create a boutique style bedroom. Next → Next post: Champers Anyone? Champagne Glass Lights enjoy the sparkle. New Year, New You, A Bright New Home.